This is a brief video biography about Buddha. The Buddha has inspired so many around the world to find peace and happiness through meditation and his teachings, but who is the Buddha and what happened in his life that made him become the Buddha, the ‘Awakened One’? Buddha was born around 2,600 years ago. 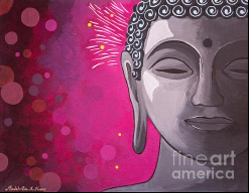 He was born into a royal family and was given the name Prince Siddhartha Gautama. He lived a protected and carefree life of luxury, until one day he came face to face with the harsh realities of life: old age, sickness and death. These three sights were to change the course of Siddhartha’s life. Embarking on a spiritual quest to find liberation from the sufferings in the world, Siddhartha finally discovered the truth of suffering and how to end it. He achieved enlightenment under the Bodhi tree in Bodhgaya, India, and from that moment on was known as the Buddha, the ‘Awakened One’.